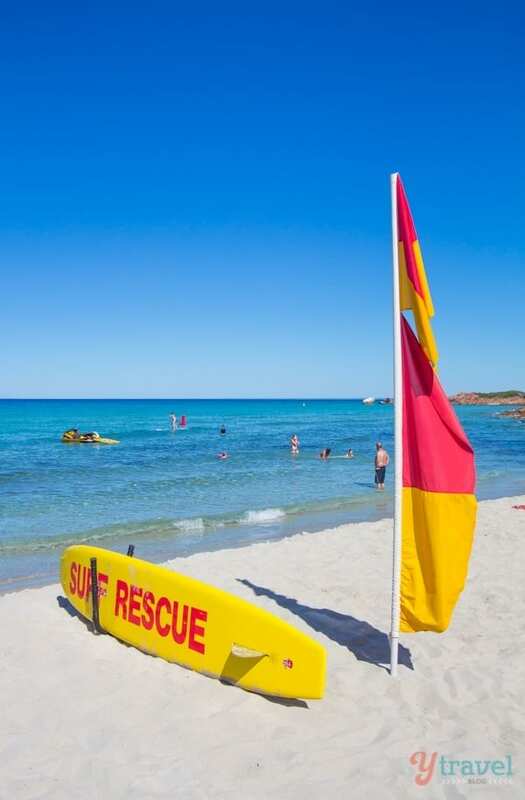 Margaret River is not all wine tasting and gourmet food, or over indulging on cheese, chocolate and coffee. Sure, you’ll probably go to Margs and sip endless glasses of the internationally recognized wine – they have 150 wine producers! 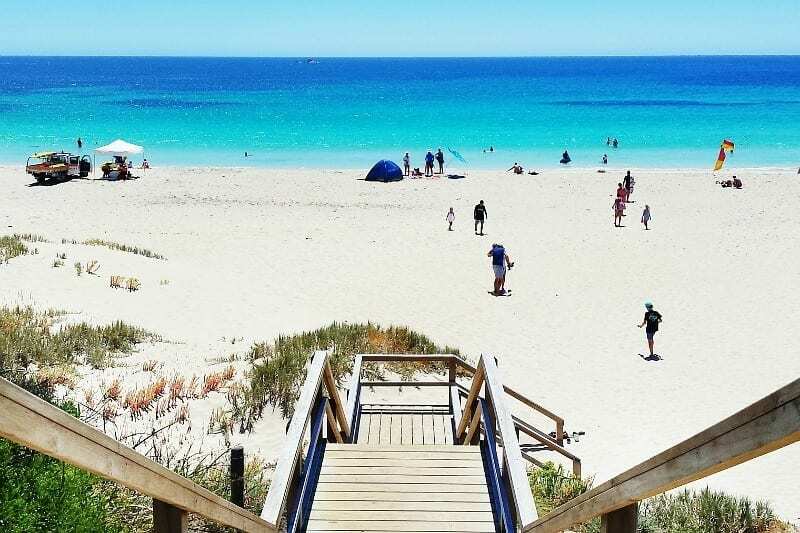 And feast on all the amazing food on offer, but there’s another great reason to visit this region in South West Australia – the beaches of Margaret River! After road tripping around Australia for 18 months, I can safely say this stretch of coastline has some of the most stunning beaches in Australia, for quality and quantity. They are some of the most beautiful beaches you will ever walk on and for the surfers, some of the best waves you’ll ever ride. Although the water temperature is a little cooler down south, it makes for a refreshing dip on a summers day, and visually they truly are spectacular. 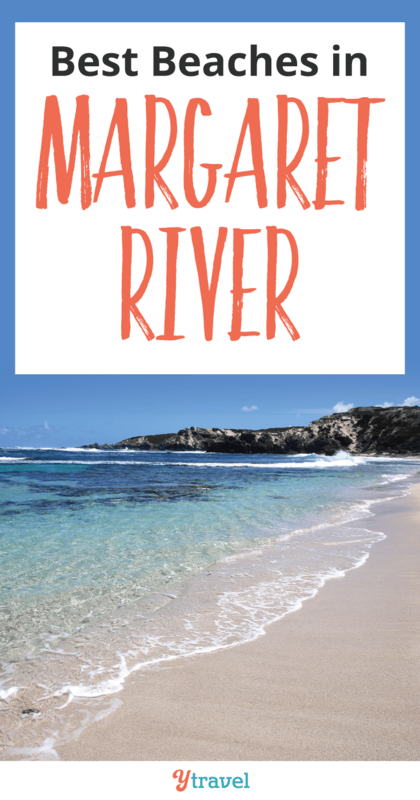 After spending a month in the area, it turns out Margaret River is many things, and when it does something, it does it better than most. Then throw in the amazing diversity of people from wine makers, farmers, artists, and of course the surfers the place has such an addictive vibe. 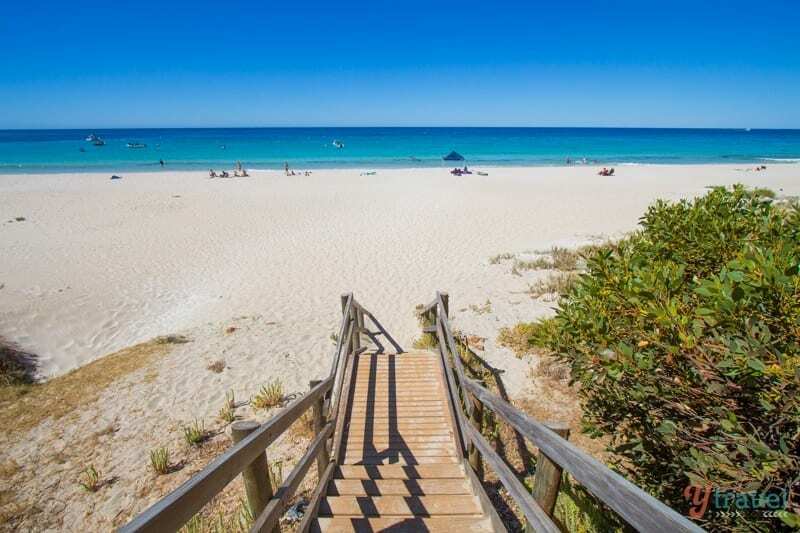 But today we’re talking Margaret River beaches. Whilst we didn’t get to play on all the beaches, because there’s just so much to do in the area and we’ll definitely be back, below are my top 9 picks. 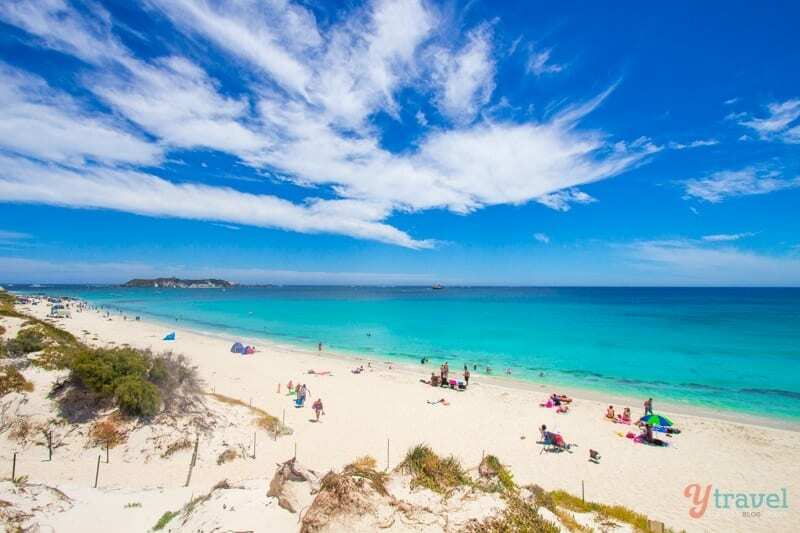 Possibly the most picturesque beach for me was Hamelin Bay with its fine white sand, crystal clear turquoise water, and those natural dunes. It’s a great spot for swimming, snorkeling and apparently scuba diving. 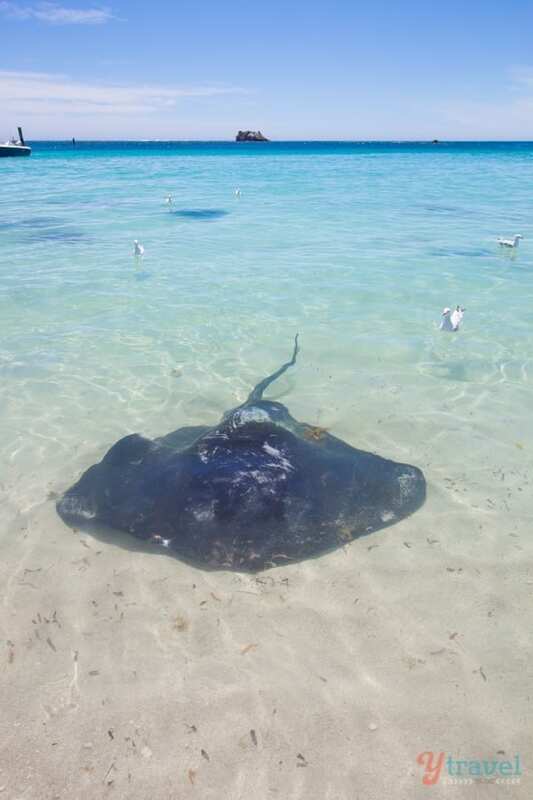 What makes Hamelin Bay different is it’s the best place we’ve seen stingrays in Australia. They’re super friendly and will come right into shore and swim around your feet. Not sure if there’s a particular time of day when they show up, just head down towards the boat ramp and you’ll see the crowd gathered. We camped at Yallingup Caravan Park for three nights, which is right across the road from the beach. 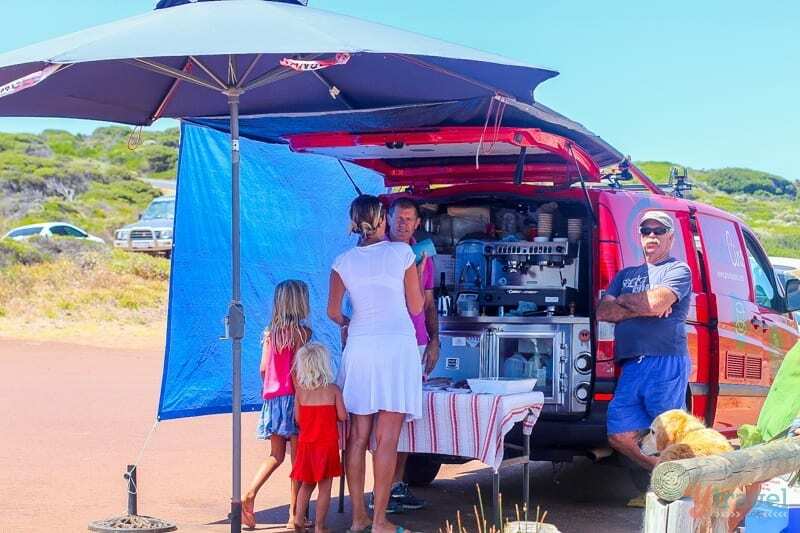 This beach has powerful surf and I enjoyed our morning ritual of grabbing a coffee from the mobile coffee man at Yallingup point car park and watching the surfers ride the waves. 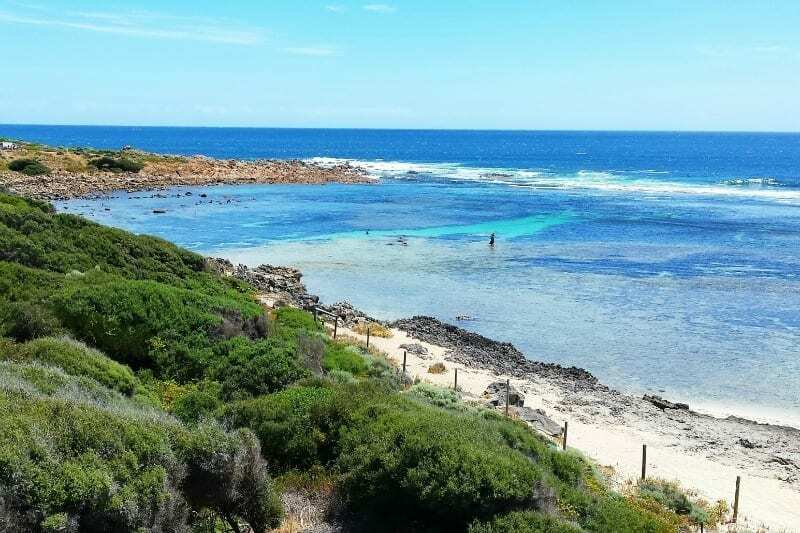 Yallingup is a favourite spot for snorkelers as well with the sheltered swimming lagoon at the southern end of the beach, and as you walk down the steps from the car park in town there is a kid-friendly swimming area and then a nice stretch of beach heading north for a walk. 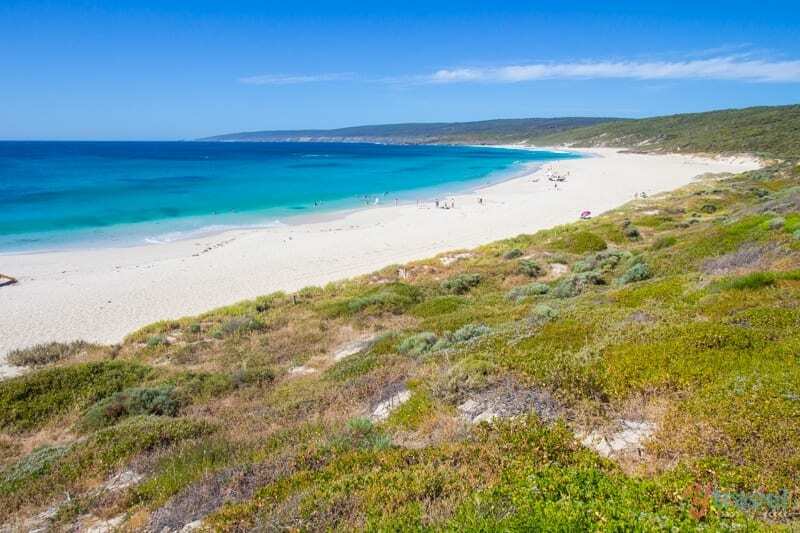 Next door to Yallingup, Smiths Beach is an expansive flat beach with more of that pure-white sand and beautiful blue water every Margaret River beach has. 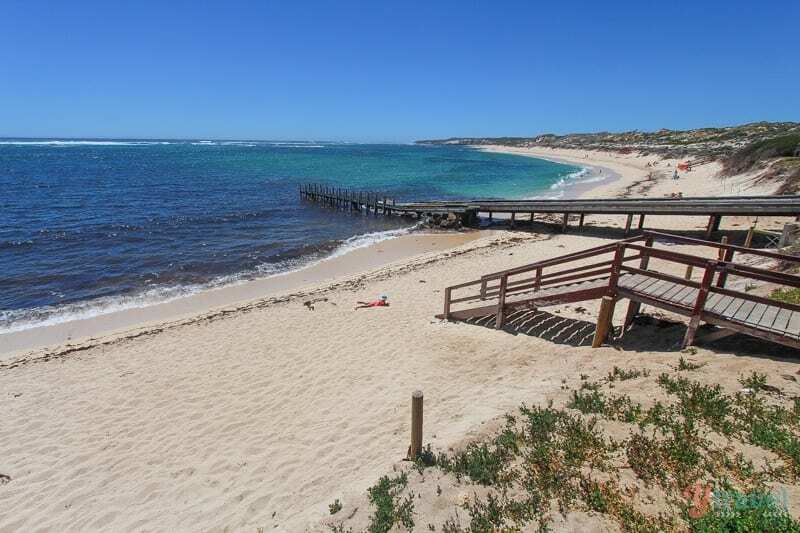 We enjoyed a few swims here and it seemed one of the more popular beaches in the region. Besides the bathers, I noticed quite a few boogie boarders getting amongst the scene. 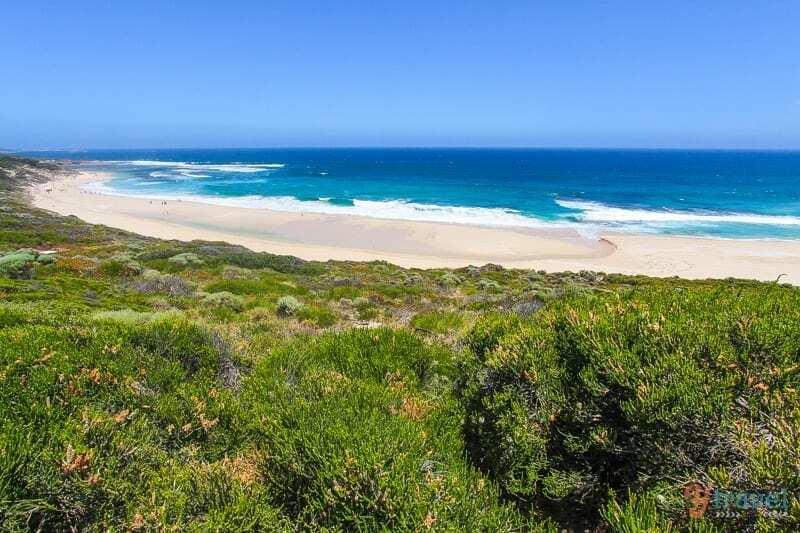 Prevelly Beach is close to Margaret River town and is famous around the surfing world as being home to the pro surfing event held every April at Surfers Point. 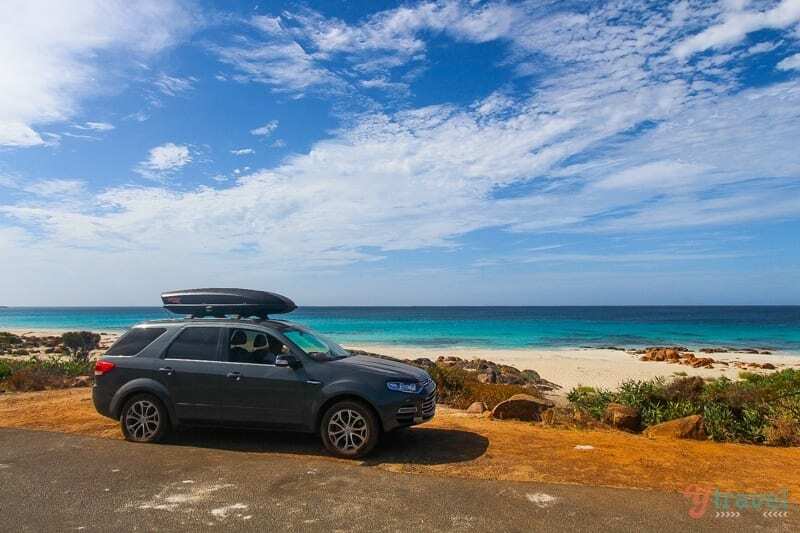 You get stunning coastline views as you drive down into Prevelly town and then around to River Mouth. 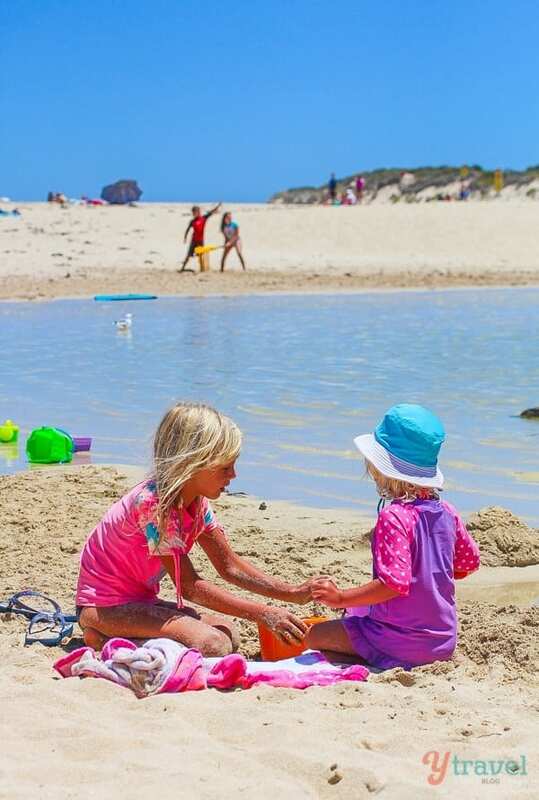 For us, Prevelly Beach was all about the kid friendly River Mouth with the shallow and calm water being a top spot for our kids to have a paddle on their boogie boards and a swim. It also looked like a top spot to do a bit of stand-up paddle boarding and kayaking. 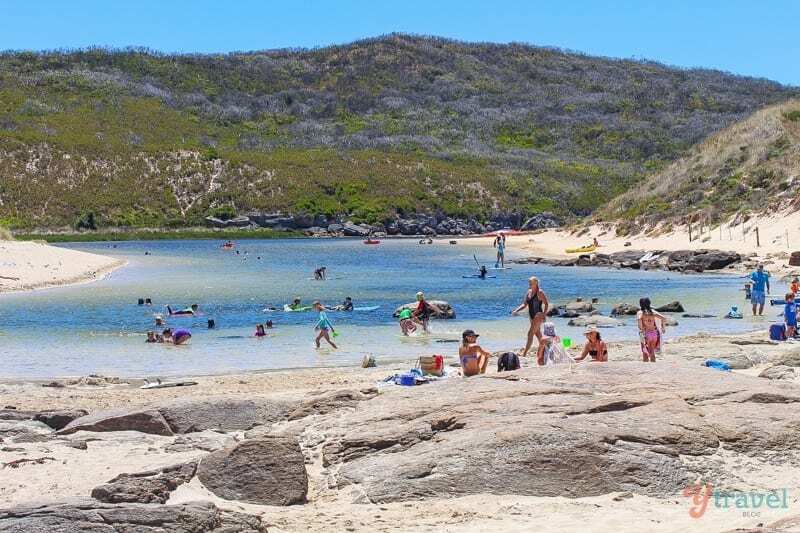 Neighbouring Gnarabup Beach was mostly occupied with families swimming, snorkeling and fishing. It’s much calmer on the waves side of things due to the reefs out to sea providing a bit of shelter. The highlight for me though wasn’t actually the beach, but the cafe overlooking the beach. Just thought I’d throw this in that at the southern end there’s the White Elephant Beach Cafe overlooking the boat ramp and little jetty. 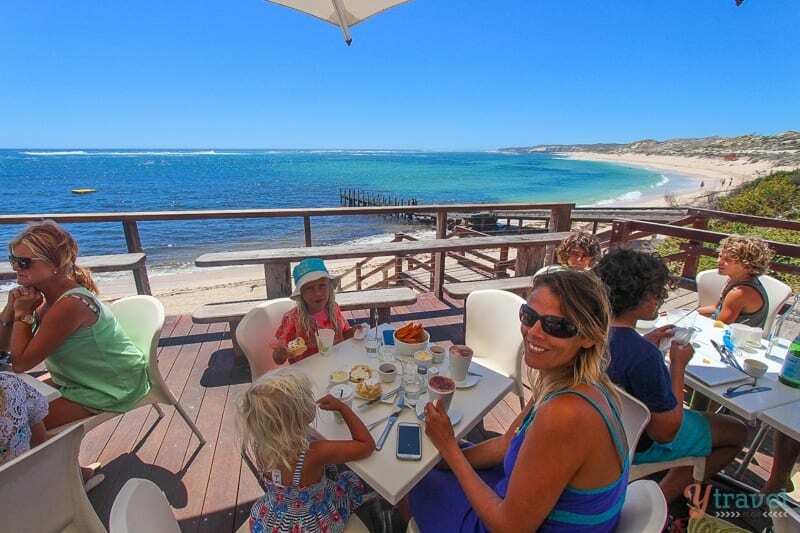 Highly recommend either breakfast or lunch here – stunning views with good coffee and quality food! 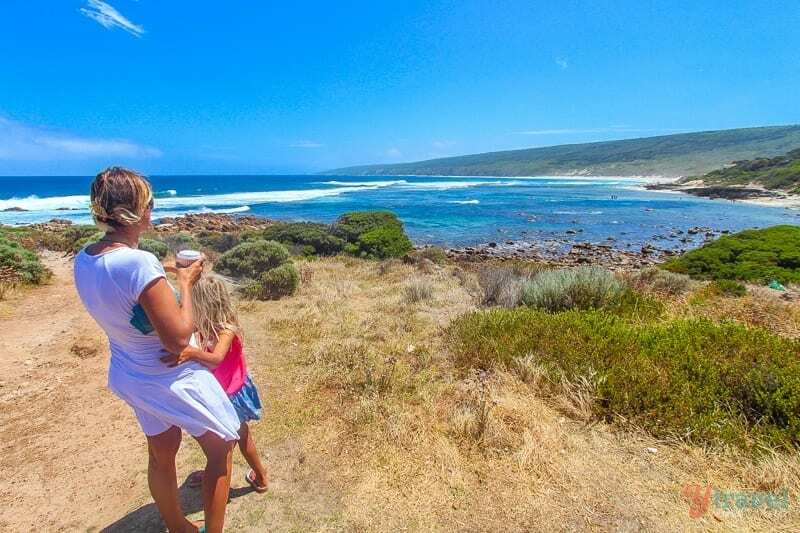 The family-friendly Meelup Bay is another picturesque beach totally worth a visit. 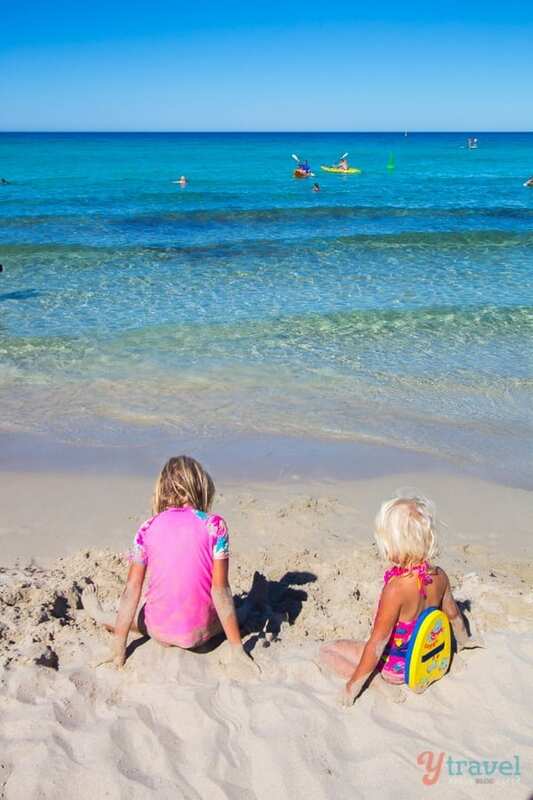 Our kids happily played in the sand here and enjoyed a swim in the calm waters whilst I kicked back on the grass and read a book. There’s also kayaks for hire here which seemed a popular activity for those looking to get out more on the water in the ideal conditions. 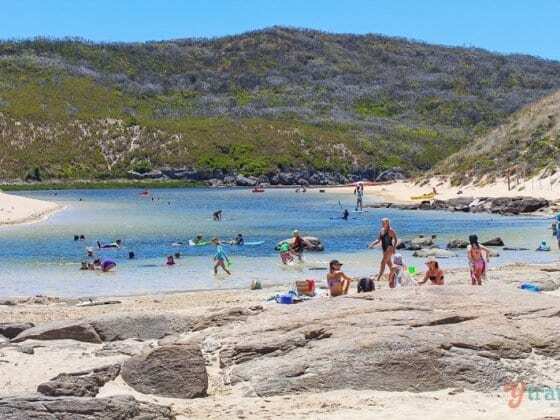 I recommend having a morning swim or beach walk at Eagle Bay, then hitting up the nearby Eagle Bay Brewery for lunch – great pizzas, a kids playground and the beer was pretty good too! Eagle Bay in yet another expansive beach, and then the coastal drive from here to Meelup is short but one of the most picturesque in the country! I’m not sure if the little beach in between the two has a name, but the orange rocks and turquoise water create a stunning scene! 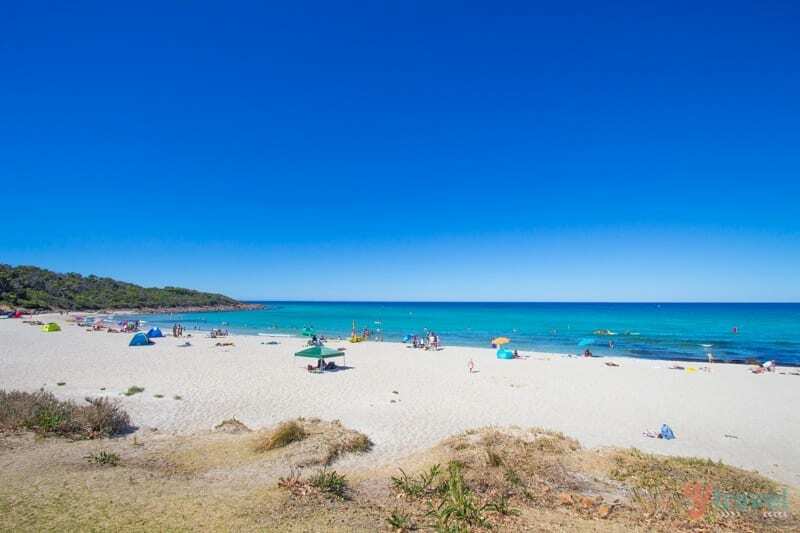 I hesitated to put Bunker Bay on this list. 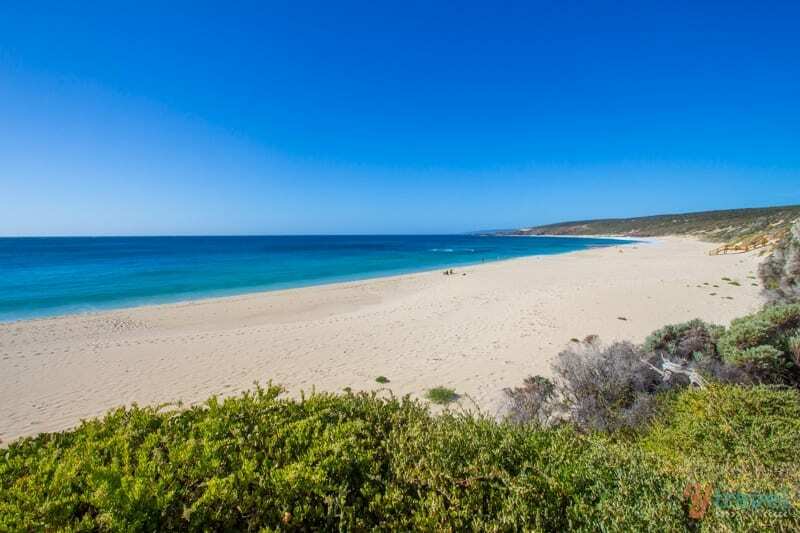 It’s definitely one of the best beaches in Margaret River most of the year, but at the time of our visit the flies were out of this world and I could only stand being around long enough to take this one quick photo. It’s the first time I’ve ever seen people sitting on a beach before wearing fly head nets, they were that bad. You’ve been warned. But the beach looked beautiful though! 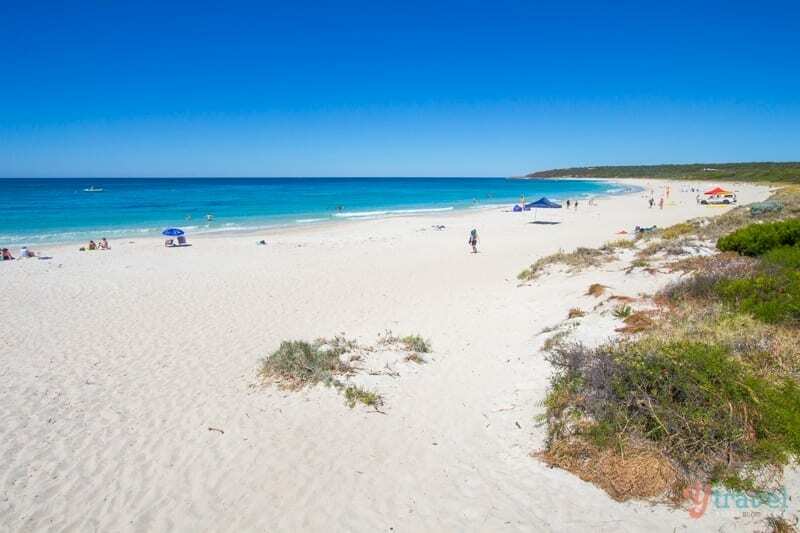 We didn’t swim at Indijup Beach and only visited once but visually I had to add it to my list and from the surfers riding the waves it appeared to be another handy surfing spot (very uncrowded) and a beautiful place for a swim. Apparently there’s a pod of dolphins that call the bay home and are known to ride the waves, and at the southern end of the best a group of sand boarders were riding down the steep dune which looked like fun! Looking for a great property to stay in the region, check out this awesome house we stayed in twice and just can’t get enough of! 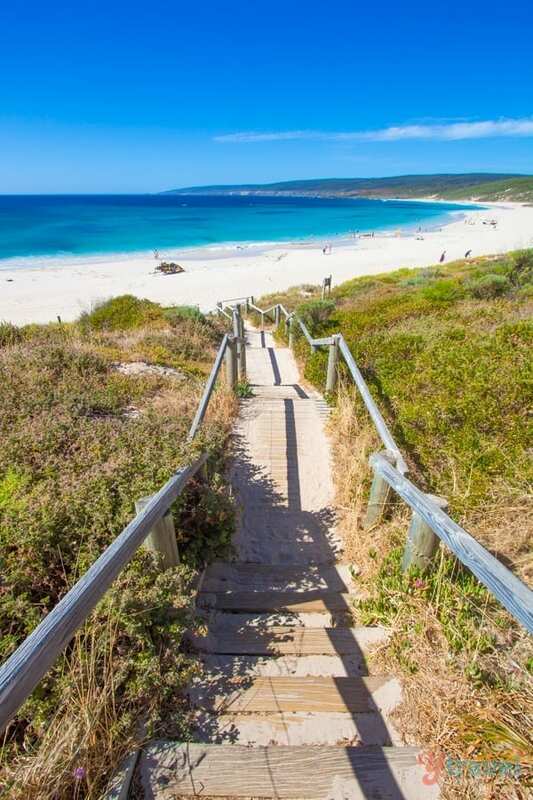 What’s your favourite beach in Margaret River? I just have to say you guys are taking some stunning photos. I became a convert of this area after attending a conference at Margaret River in 2013. Hopefully you can encourage a few more families (particularly from the Eastern States) to discover it too. Hi! I really liked your blog and the writing style in particular. Not to mention, the pictures are amazing! This blog is definitely an inspiration for me to travel and write more. I blog at Travelmax.in. Do give it a read! Cheers!! Stunning pics guys! 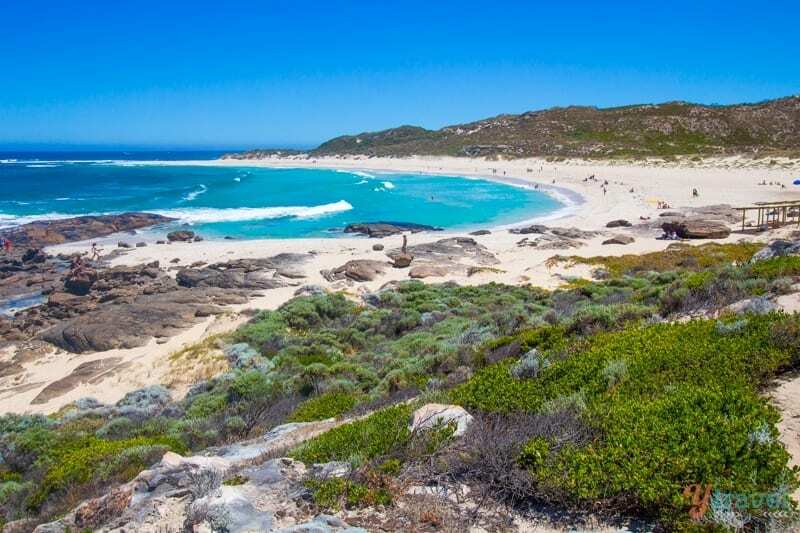 WA has the most amazing coastline. 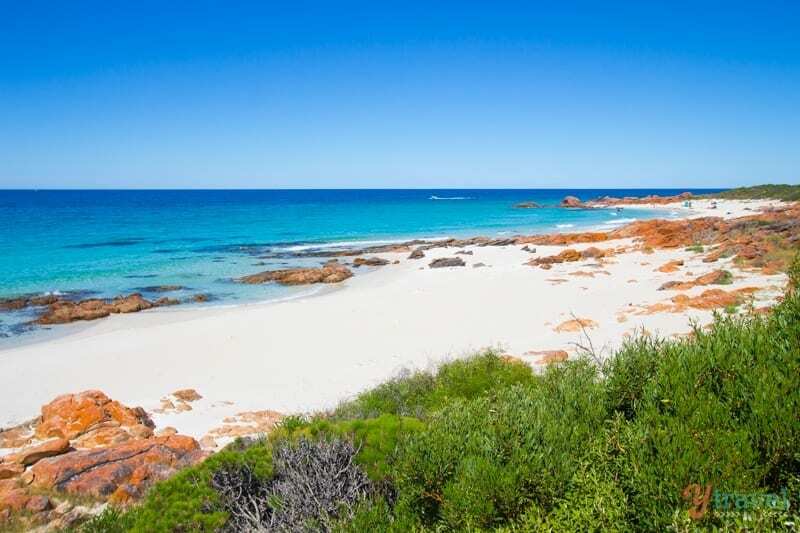 I’ve been north of Perth but really need to head to Margaret River asap! 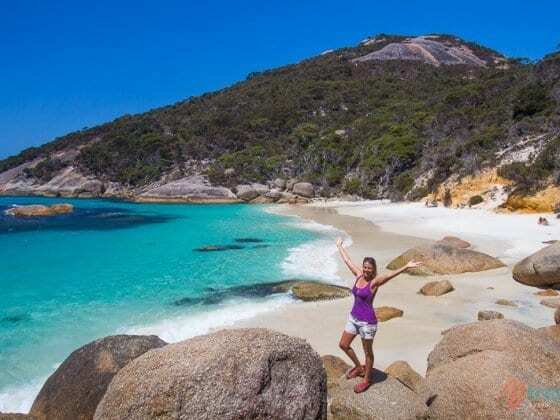 Yep, WA does coastline better than most Christina. You and Jim would LOVE Margs! 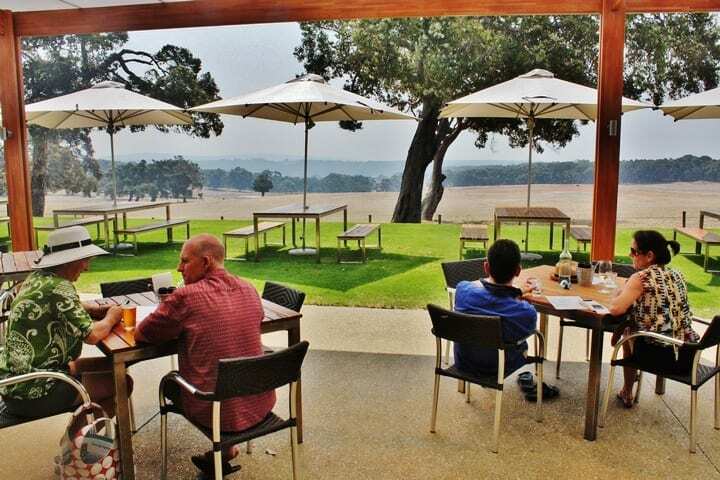 How great is the Margaret River region? So much more to it than wine! Although the wine is superb too. Happy travels! The pictures are seriously amazing. I love them!! Australia here I come! 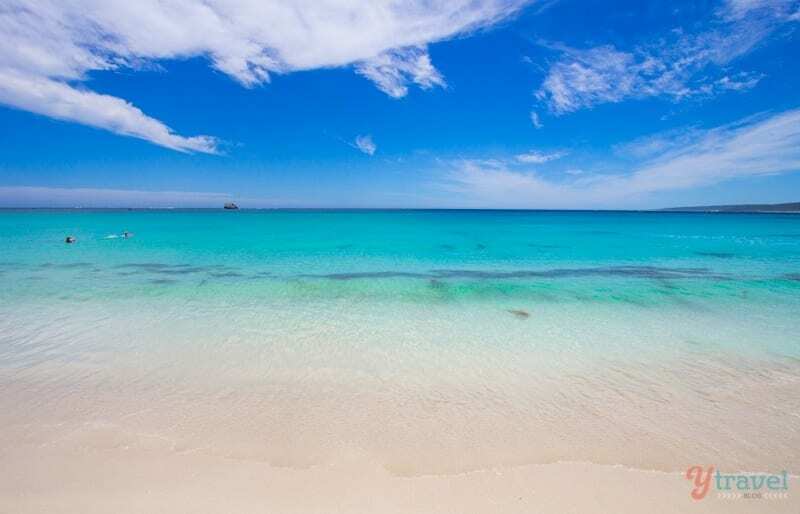 Beautiful beaches and beautiful photos! The colour of the water is amazing. awesome pics! will be going to West Oz later in the year .. beyond stoked! Fantaaastic post! 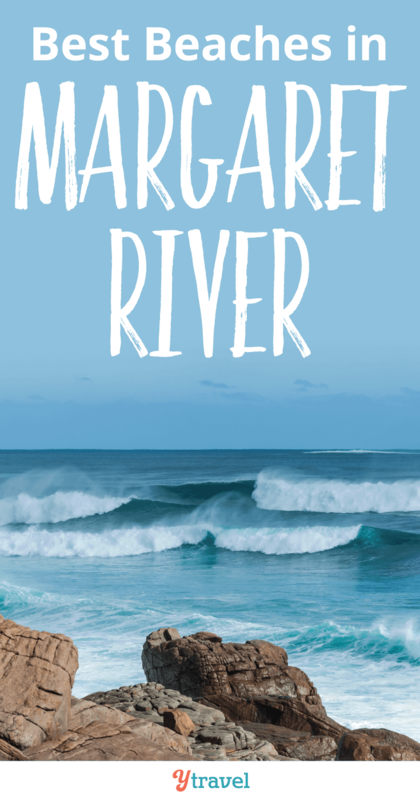 I loved Margaret River. Prevelly Beach was my favorite beach! I did a lot of spearfishing (and barbecuing) there, which was so much fun. Point Piquet is the name of that beautiful spot in between Meelup and Eagle Bay. How glorious is that little stretch of coastal drive between the two? Stunning photos, beautiful beach suggestions. Thanks for sharing your knowledge about these destinations. Can’t wait to visit any of these magnificent places someday. Wow! Kids seem to have a lot of fun in sand! My sun loves beaches too! 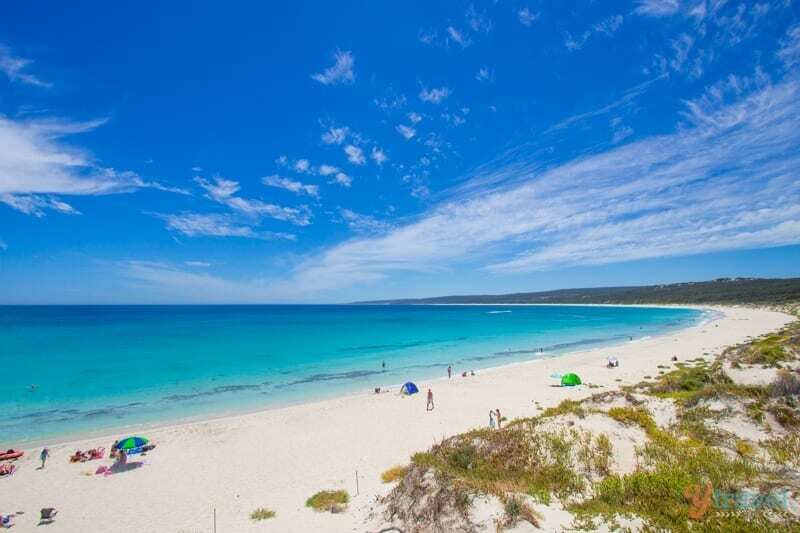 Margaret River has some really great beaches, my favorite was for sure the Meelup beach. Would love to go back.